Valentine’s Day is all about the gifts for me. I love filling this holiday with lots of sweet treats and even sweeter notes to those I love and care about. 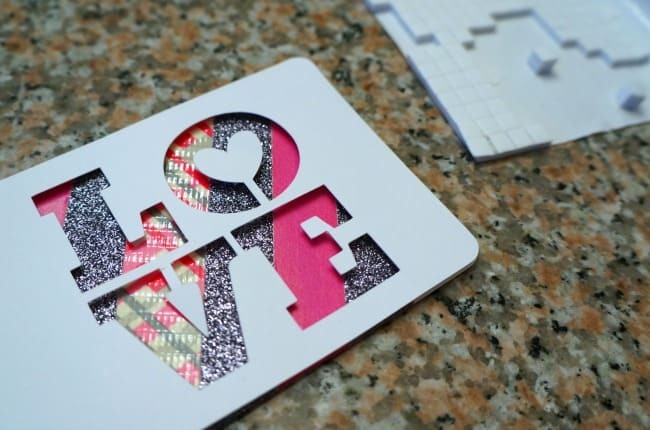 Today I am sharing some simple 3D Valentine Tags I made to adorn some sweet gifts for Valentine’s Day. I used my Silhouette and festive washi tape to create these, and I’m sharing all the details below. Here is what I used to create these 3D Valentine tags. The links below are affiliate links, you can view my full disclosure policy here. I used a LOVE design and a lip design from the Silhouette design store. I added them to a tag I created and cut each one out of white card stock. I also cut a blank tag for the base. To jazz these up a bit I covered the blank white tag with washi tape on a diagonal. This is where my favorite new scissor comes in. I needed a new one and picked up this Fiskars with non-stick blades. 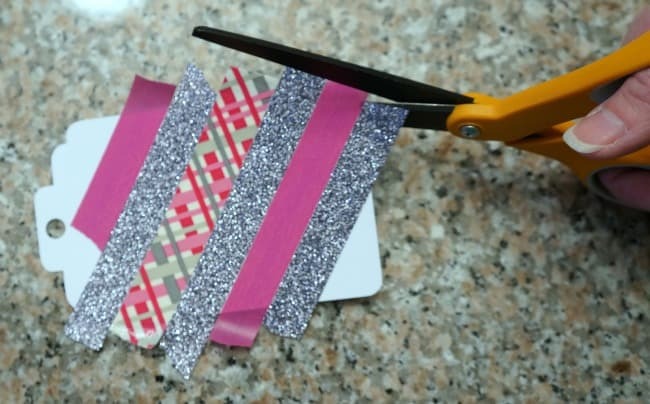 It is wonderful for cutting through all kinds of sticky things, like washi tape, and cleans up easily. I trimmed the washi tape then layered the cut tag over the washi tape using foam adhesive squares to give the tag a 3D look. I made a few of these to dress up my Valentine’s Day gifts this year. They look great on a plain gift bag with a little ribbon. They would also work well on a box or jar of sweet treats. How do you wrap your Valentine’s Day gifts?